Spped Up Video of a episode of the Simpsons. This is as﻿ close as you can get to find an entire episode of the simpsons without it being deleted. A fast Forward video from the Simpsons treehouse of horror show. A 3D animation by a Fan. Nice recreation of The Simpsons House in 3D. Fan made video of The Simpsons Intro with Lego Pieces. 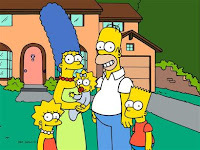 The Simpsons Game by EA.